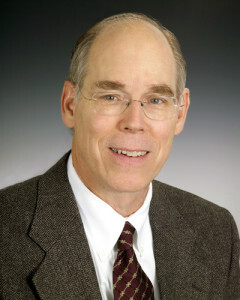 Jeffrey W. Pfeil | J.W. Pfeil & Company, Inc. Jeffrey W. Pfeil | J.W. Pfeil & Company, Inc.
Jeffrey Pfeil has worked in commercial real estate and development for more than 30 years. His expertise and experience encompass office and retail property management, marketing and leasing; commercial development; and all aspects of construction, including mechanical systems and cost analysis. He is a seasoned retail-leasing specialist and has brought scores of local, regional and national retailers to the Capital District since the early 1980s. Because of his broad knowledge, he has been a highly respected consultant and advisor to a number of prominent regional developers and institutions over the years. Since 1997, along with his wife and partner, Deane, he has evolved into a pioneering developer and entrepreneur. Together they have completed a number of successful real estate projects, including Powers Park Lofts condominiums in a renovated 19th century mill building in Lansingburgh; The Conservatory luxury apartments in a completely restored historic department store building in downtown Troy, NY; new office buildings in Saratoga Springs (340 Broadway, The Masie Center, and two medical office buildings) and even a successful hardware store (Pfeil Hardware & Paint) on the first floor of The Conservatory in Troy. These endeavors have inspired downtown redevelopment and rejuvenation in both Saratoga Springs and Troy. Jeff is a licensed real estate broker in New York State, a Certified Shopping Center Manager (CSM) as designated by the International Council of Shopping Centers, and a Real Property Administrator (RPA) as designated by the Building Owners and Managers Association. He is a past member of the boards of the Troy Downtown Collaborative, Troy Downtown Business Improvement District, and Historic Troy 20/20; Advisory Board of The Lally School of Management and Technology at Rensselaer Polytechnic Institute; past president of the Saratoga Springs Preservation Foundation, past chair of the Community Development Block Grant Committee, past chair of the Saratoga Springs Comprehensive Plan Review Committee, and a founding board member of the Saratoga Springs Universal Preservation Hall board of directors formed to save the historic Universal Baptist Church building on Washington Street in Saratoga Springs.